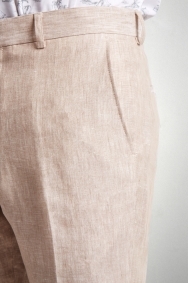 Cut to taper sharply from a breathable 100% linen material, these trousers are both comfortable and sharp. 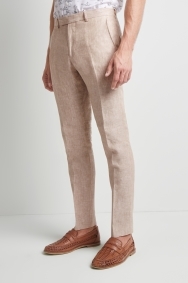 Wear them with a pair of tan slip-on shoes for a relaxed take on formalwear. Worst customer services! You took my money, yet did not deliver the goods. Such a shame. I had high hopes but its shattered. You have messed up our special occasion. Nice fit, well made. Perfect for my wedding. Good quality, good fit. Kept me cool on a hot afternoon in the South of the USA.